the lost pearl . . . 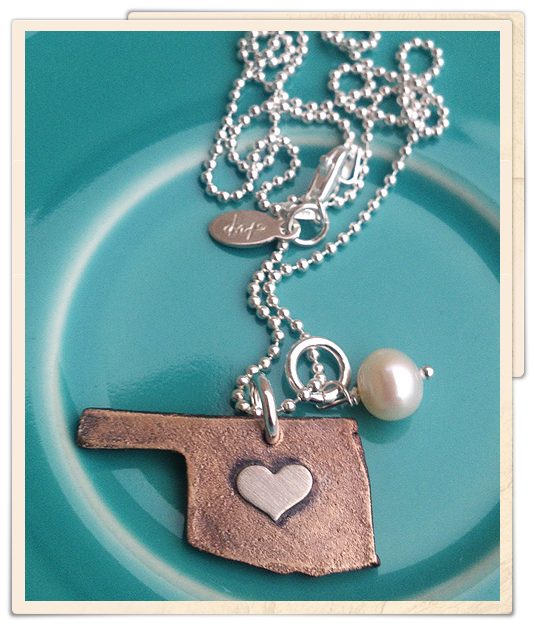 Recently, my mom sent me a necklace from The Vintage Pearl with a few special charms… and a pearl. That’s their signature deal. A little pearl comes on each necklace. A few days ago, I lost the pearl. I started to internally freak out like I do. Then I internally prayed like I try and remember to do. And I kept searching. I left the necklace on the kitchen counter, the latch was open, and the other charms were present, so I was certain the pearl had slipped off the chain and was rolling around hiding somewhere on the counter. This counter space, btw, is where I pile things. All sorts of things, the kids school papers, their priceless artwork, random little toys, lip gloss, pencils, important scrap papers, my Bible, my phone, my rings, aaaand… my necklace. After searching and turning over the pile, I started looking on the floor and in the kitchen corners. Yuck. I realized I need to sweep more – and I had just swept the night before! Ah ha! I had just swept! Perhaps the pearl was caught up in the broom pan and thrown away. I searched thru the trash. Yes, I did. I continued to pray about finding the lost pearl throughout the day. I had searched the counter, the floors, and the trash. God was reminding me not to worry. It is okay if I never find the pearl… One day, I might just randomly find it… If it’s lost forever, it’s really okay… I can buy another pearl… The pearl is not an eternal thing I need to lose my mind over… I was really okay with losing the pearl… But God. I began picking up and moving around the toys in the living room. Our 4 year old usually asks us to “make a pile” of her toys, otherwise she’s too “overwhelmed” by her self-made messes and throws a fit about cleaning up. How many times do I do the same thing? I become frustrated if I leave a mess for too long. The mess becomes more daunting if I don’t address it right away, and I become overwhelmed. If I leave the dirty dinner dishes to “soak” overnight, they don’t magically clean themselves. They are staring me in the face the next morning. If I put off paying a bill, or calling the insurance company, or finishing a project in a timely manner, it only causes me frantic feelings. I was frustrated with myself about the piles I make, and the procrastination I too easily embrace, turning a simple task into a complicated ordeal… I was frustrated with myself over the random places I choose to put things, like my necklace, leaving space an innocent mess to turn into a lost treasure… But God. God cares because He loves… He wants me to experience His love. My mom loves me so much, she gave me a special necklace. She expressed her love thru a special gift. God loves me so much, He wants to give me more of Himself. He expressed His love to this world thru the greatest gift, His son Jesus. As I follow God and let Him love me, He teaches me how to love, how to become more like Him. The greatest gift is not that the lost pearl has been found. The greatest gift is trusting God after a loss, seeking Him to find what I truly need, Him teaching me to be more like Him in the process, and the joy of receiving Him as greatest gift. Knowing He is the giver of all joy in the midst of it all, regardless of the outcome, and thanking Him for finding the lost pearl.